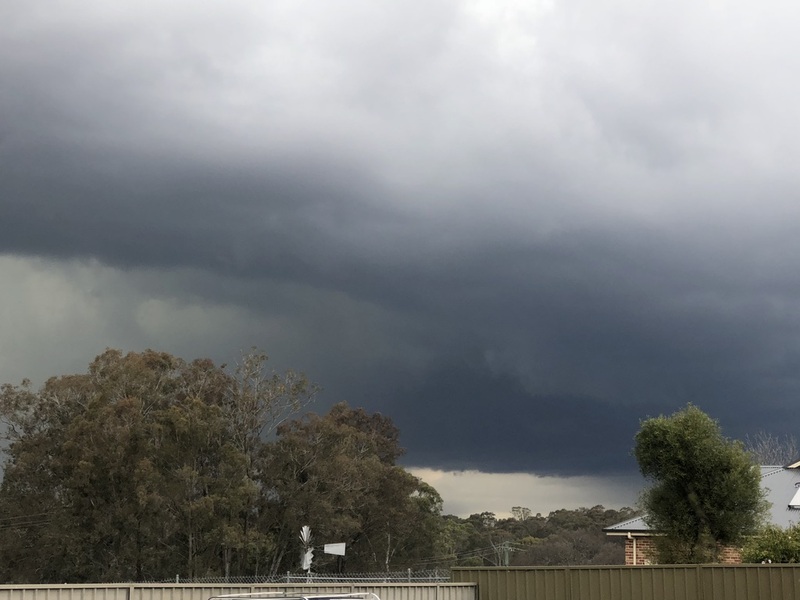 With the axis of an upper trough to be stationed over Sydney and temperatures aloft of -22C, it wouldn't take much heating to get storm development. 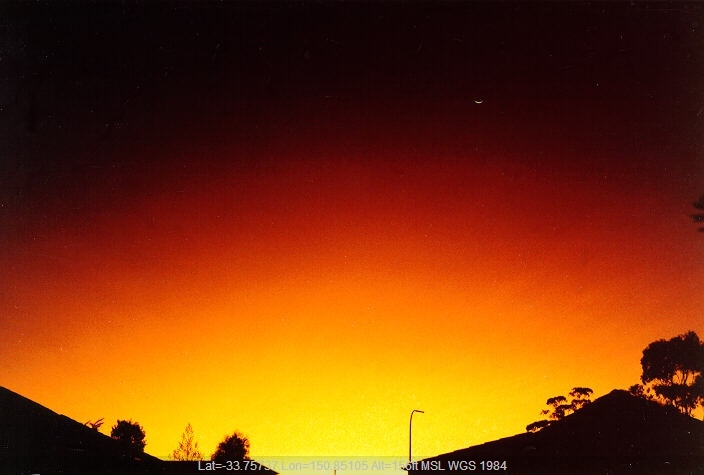 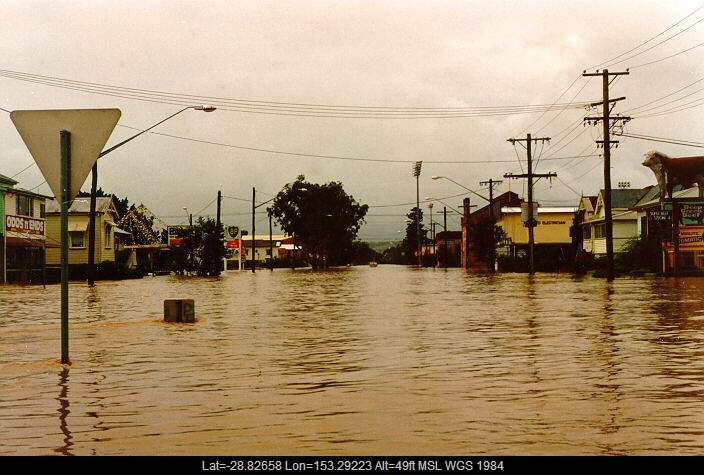 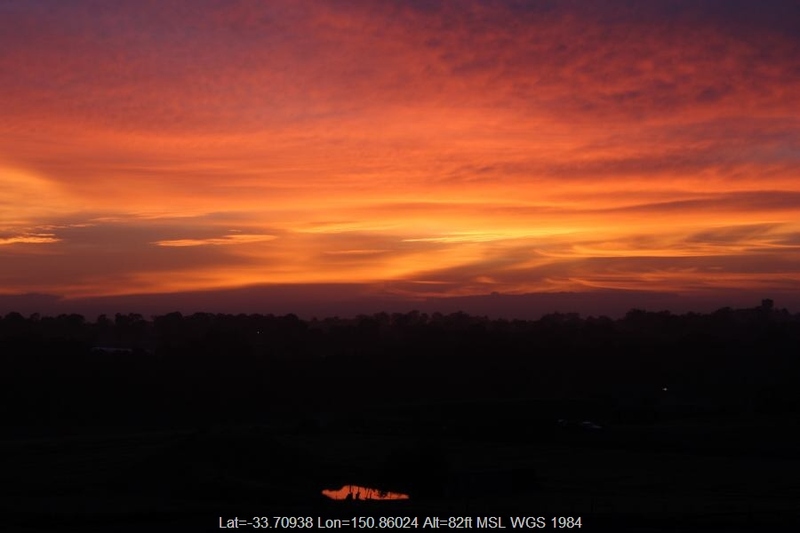 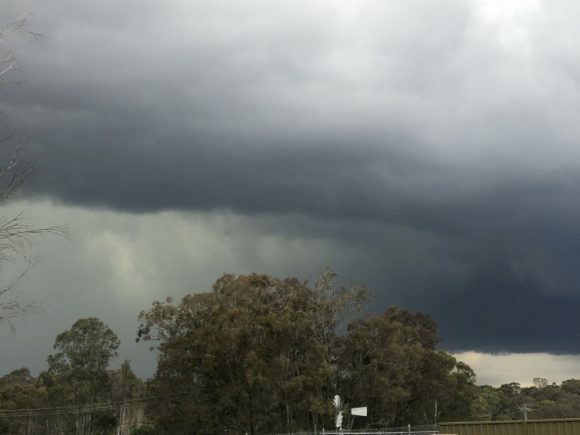 A rain band had produced rainfall over Sydney during the morning and lasted until at least late morning. 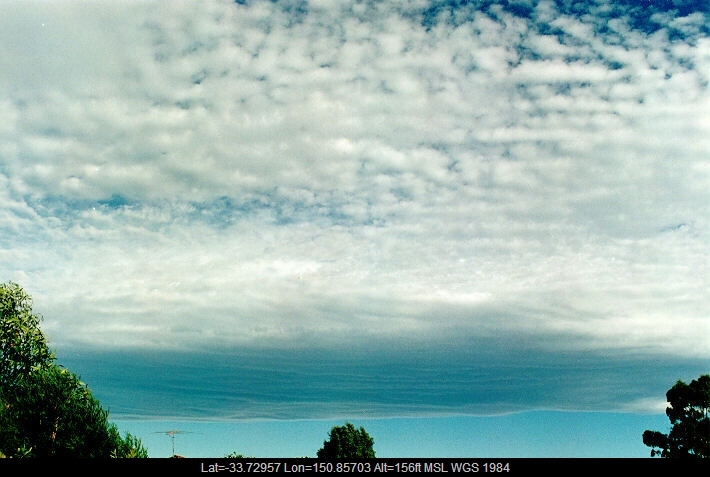 A brief clearing and it could be seen a band of cumulus were showing signs of development to the south and southwest. 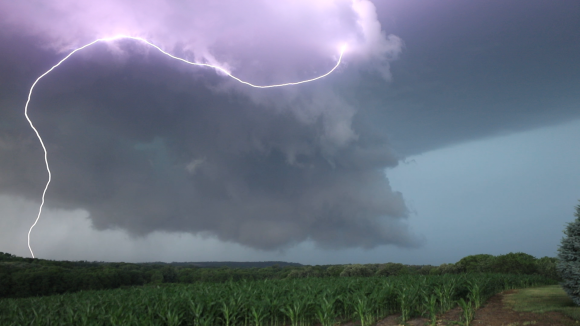 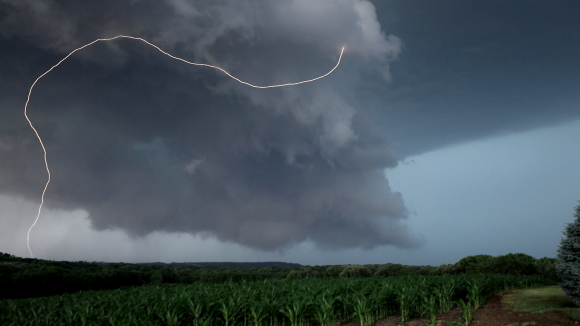 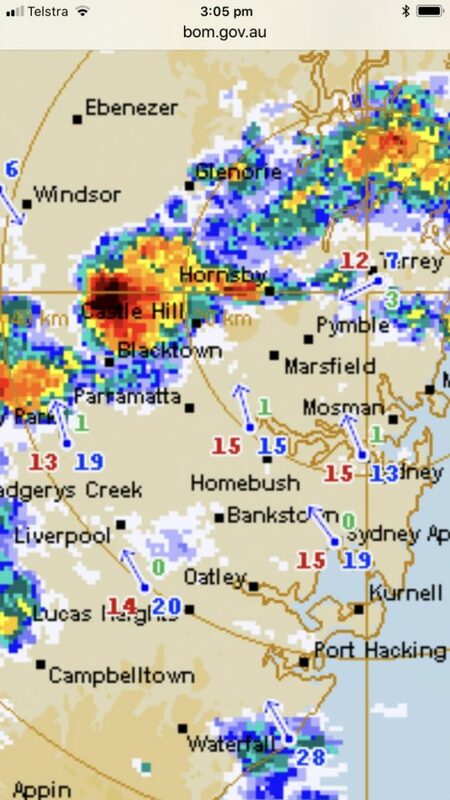 An area of convergence with NW winds meeting the southeasterly and northeasterly boundary was situated near Castle Hill. 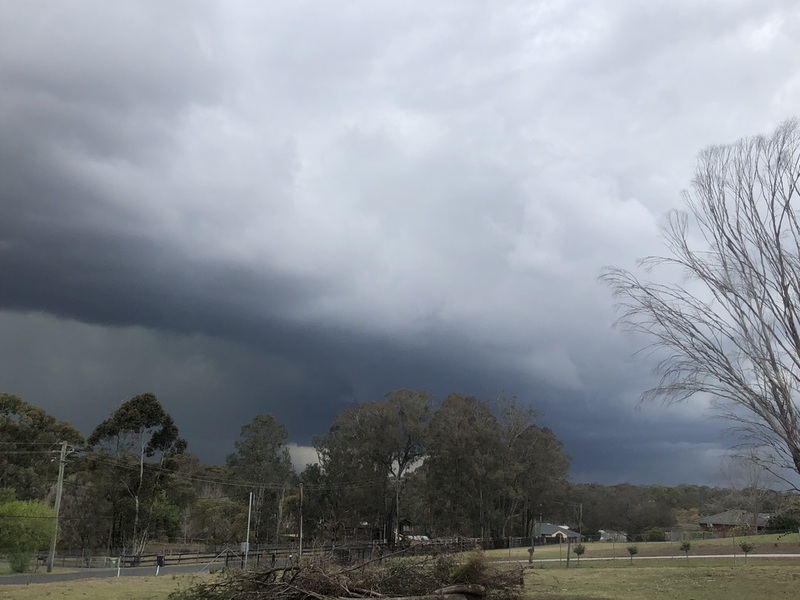 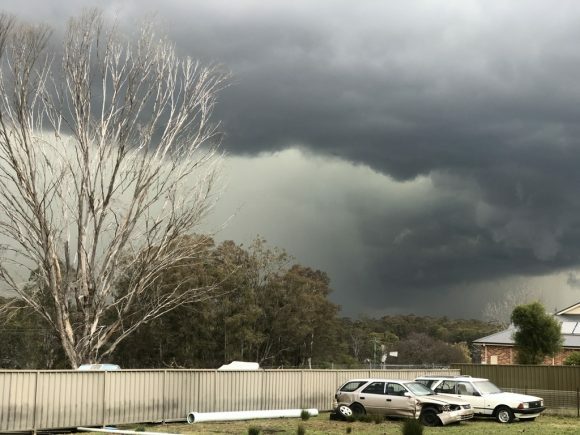 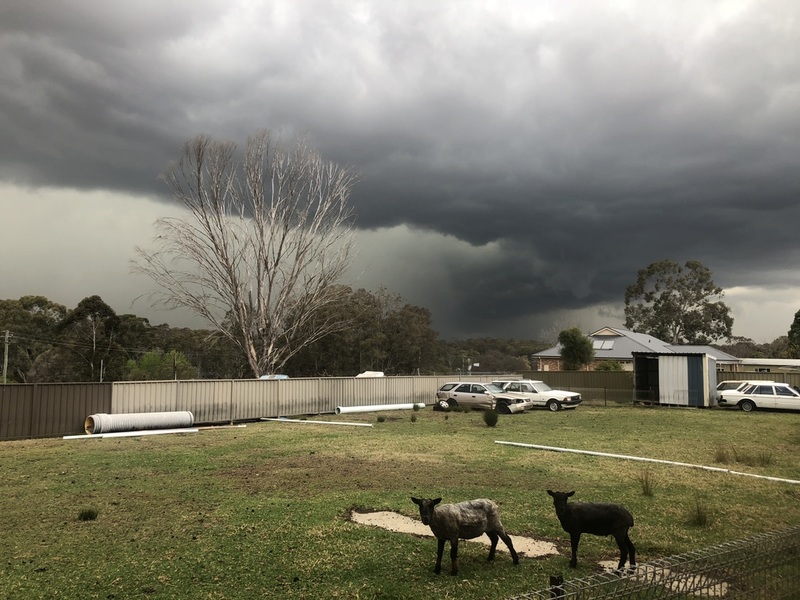 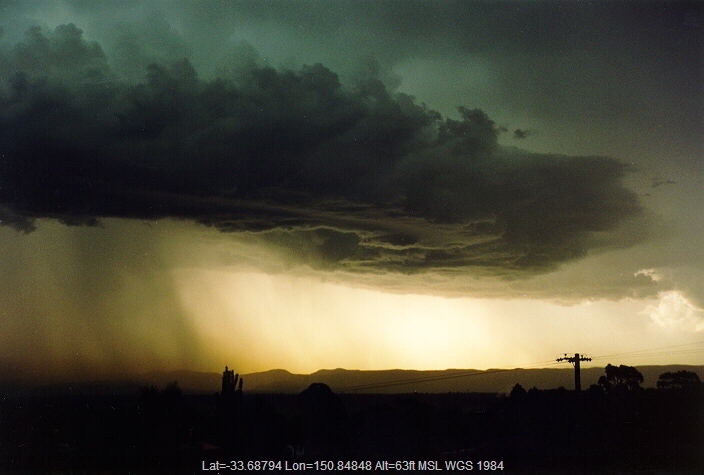 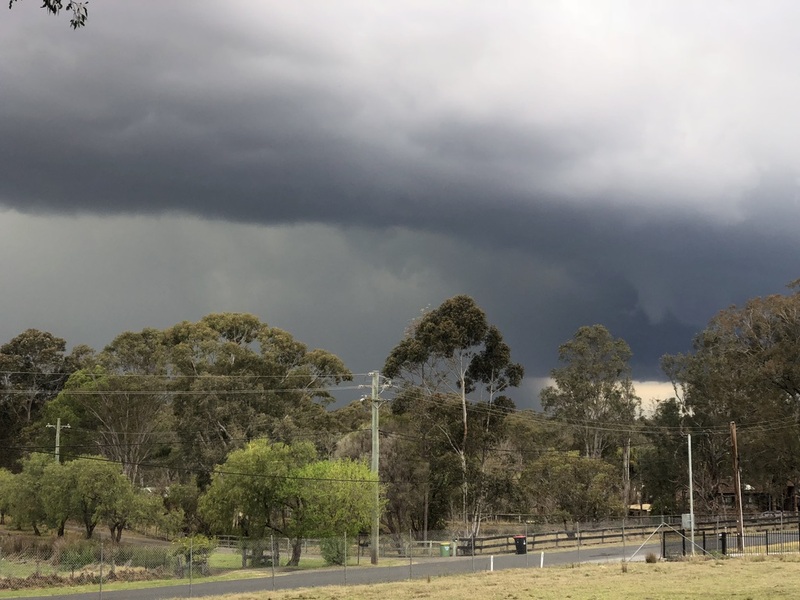 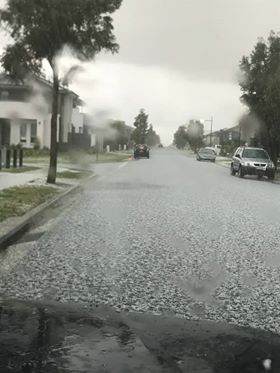 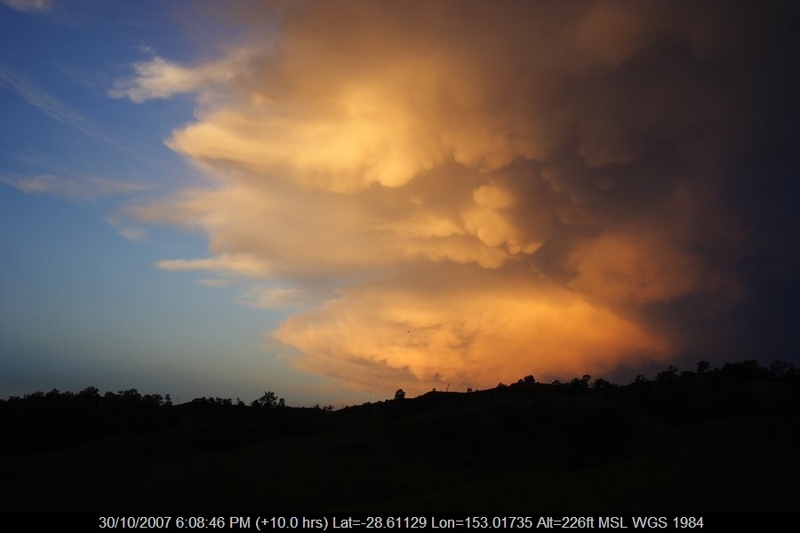 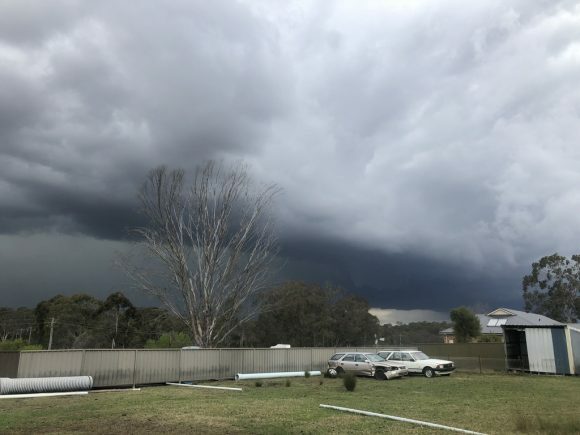 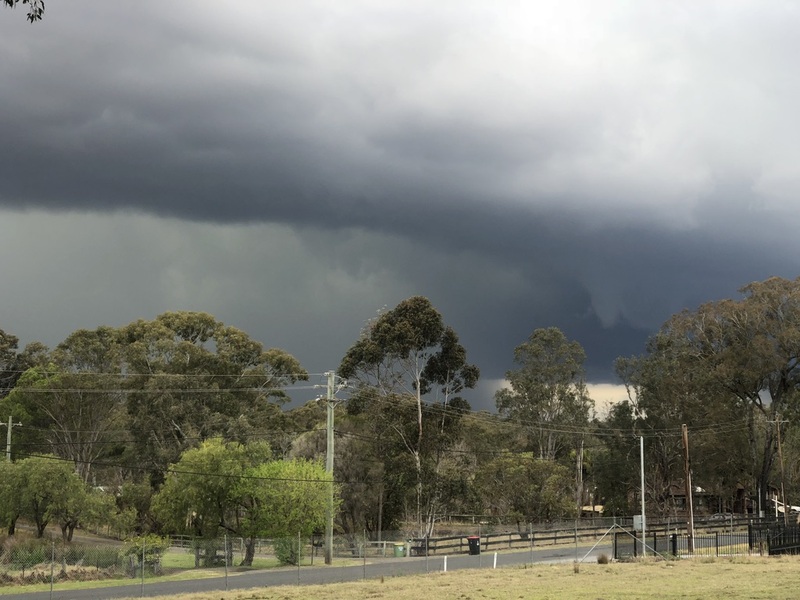 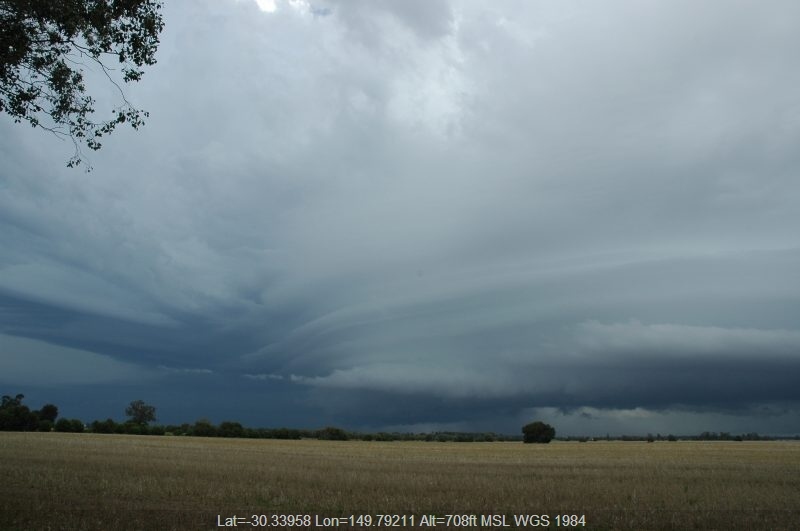 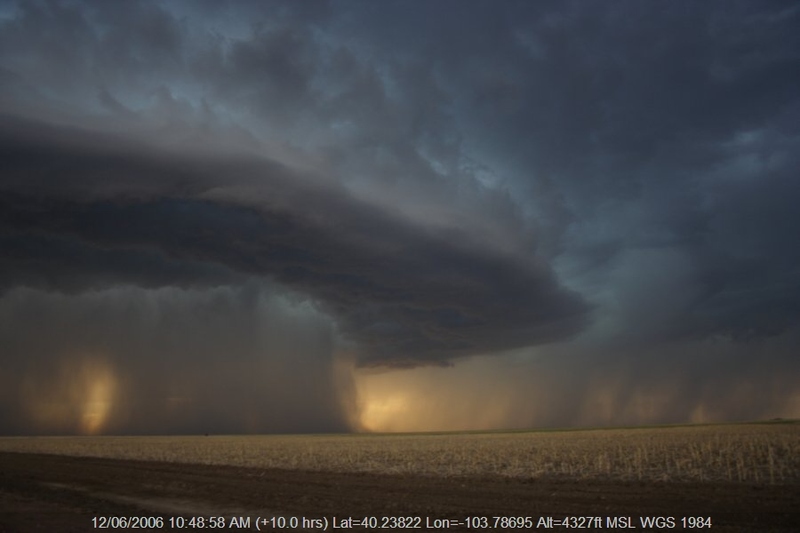 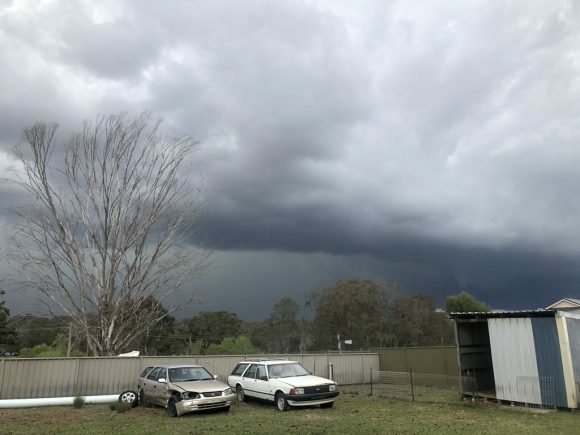 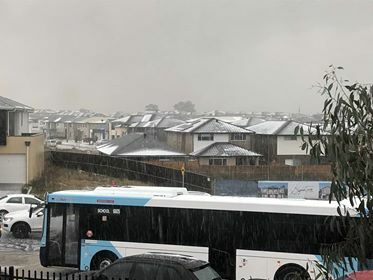 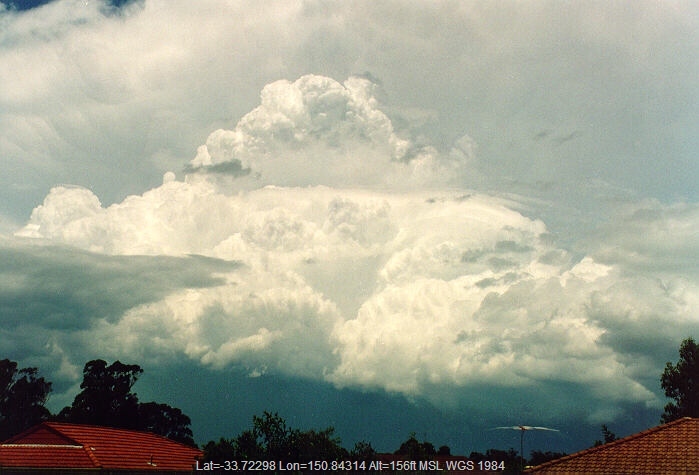 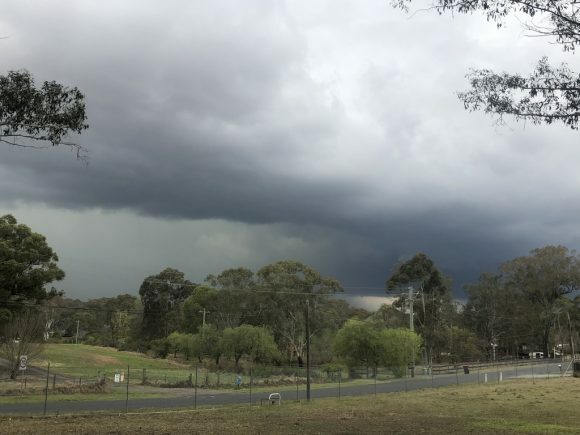 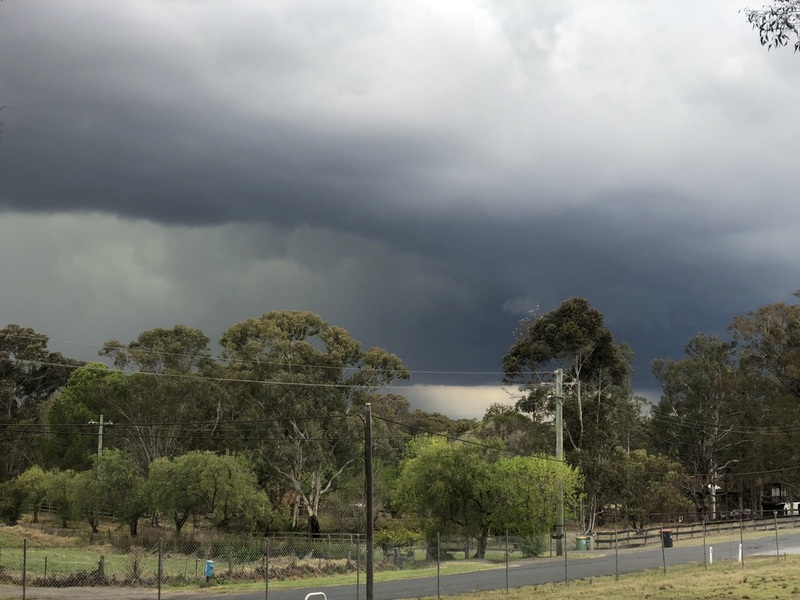 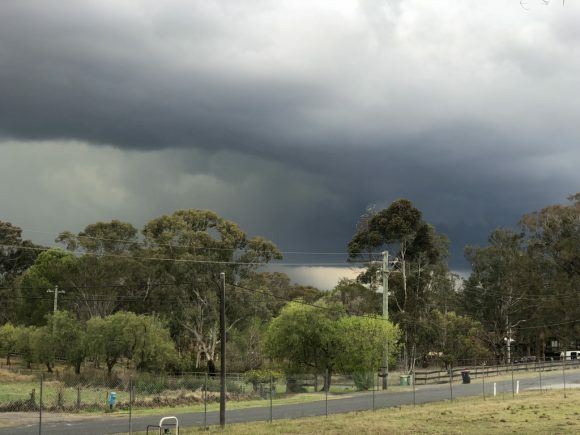 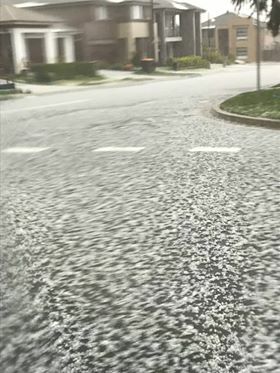 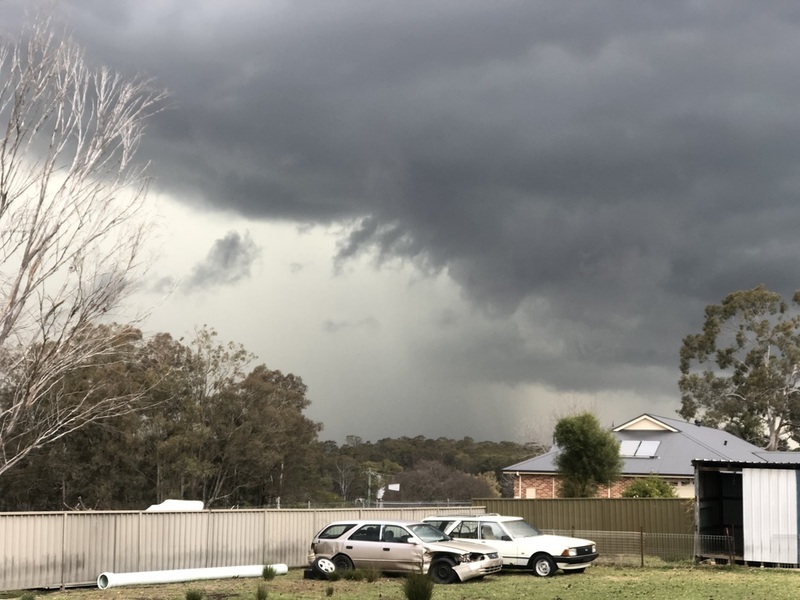 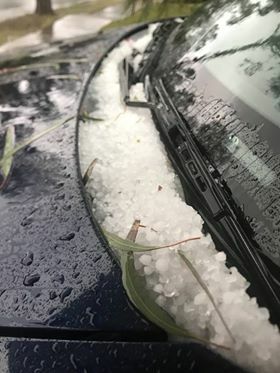 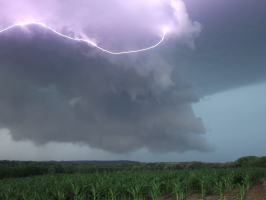 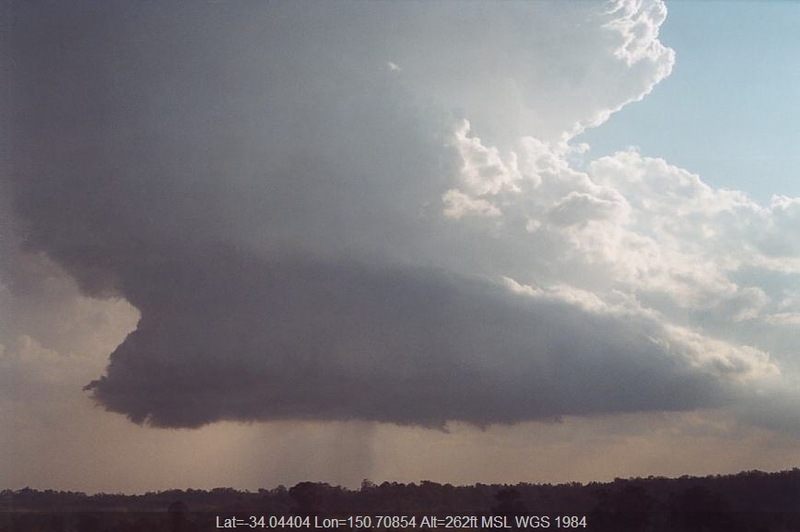 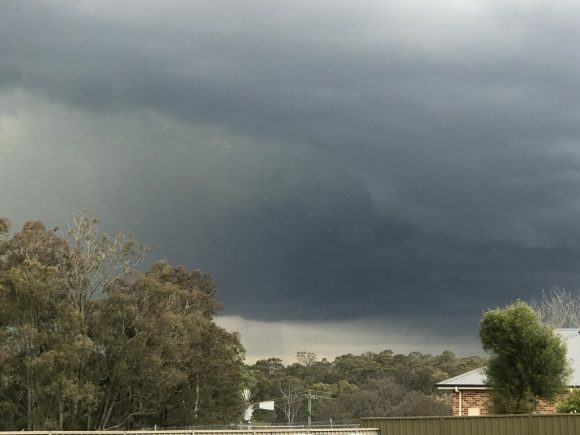 Although storms developed further south, an intense storm developed along this regional convergence tripe point and produced a swathe of hail across the Quakers Hill to Schofields region and the storm redeveloped northwest. 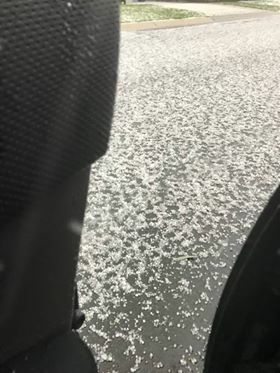 Unfortunately, the hail dumped over those areas and only moderate rain progressed beyond this region.